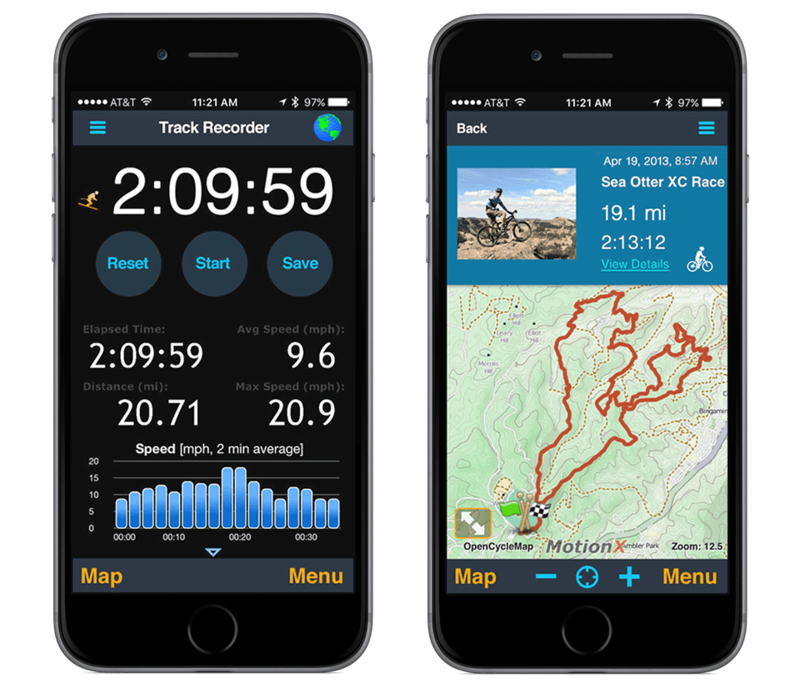 "Give it a high five"
See your position and tracks anywhere in the world on fast live MotionX open topographic and road maps. Total of nine map choices, no other app offers a bigger selection! Record and save up to 101 tracks. See your track in real-time with Track up, North up, or Direction Up, then follow it later if you want to retrace your path. Record time, distance, speed and max speed. Add a geotagged photo during your activity to share the experience! Save up to 500 personal waypoints for your favorite locations like your home, end of a hike or your favorite restaurant. Use the MotionX TapTap® tool for easy waypoint creation. Add a geotagged photo to capture the moment! 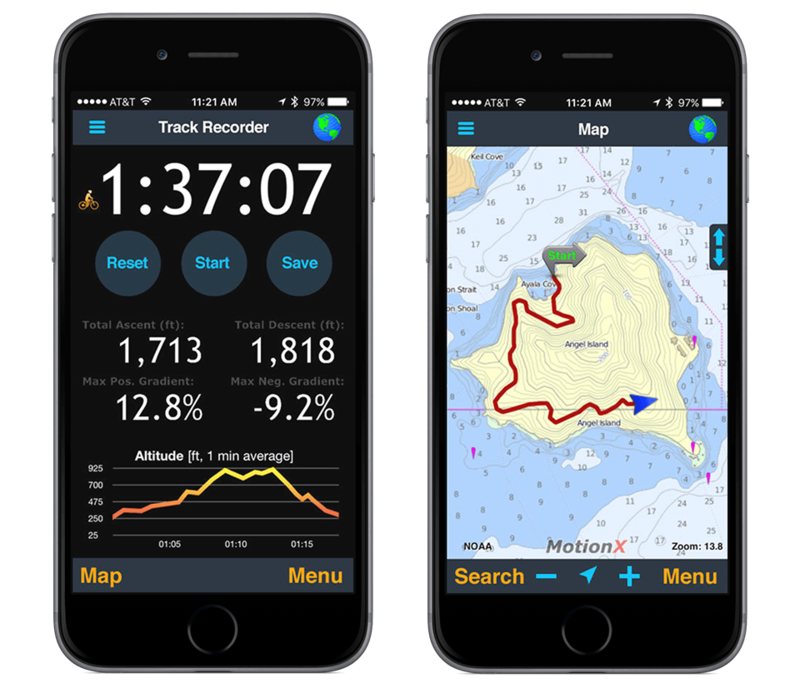 Downloading and storing maps for offline access is faster and easier than ever. MotionX maps can be cached for offline access and lightning fast rendering! 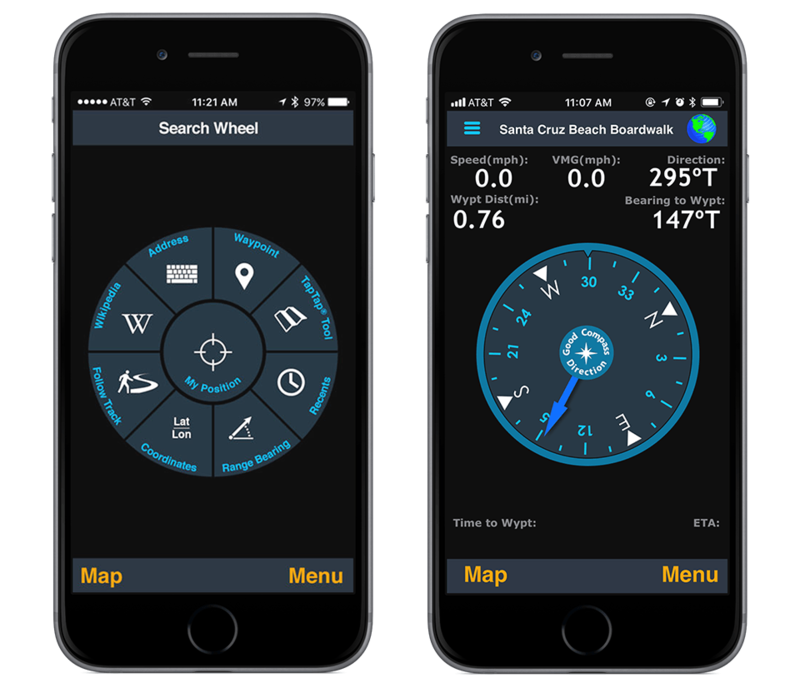 MotionX Terrain and Road maps and NOAA marine charts can be stored for worldwide use and no data fees. Use the compass for orientation in True or Magnetic bearings. Visualize your progress and ETA while navigating. View coordinates in UTM, MGRS, OSGB (UK grid), Lat/Lon format. Post your tracks and waypoints to Facebook or Twitter, or email them to share. Share your location and see where your friends are in real-time using the Auto Live Updates feature. Get to know your friends' favorite Facebook Places and navigate to them! 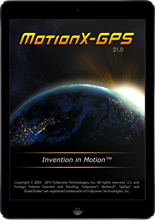 Post a check-in location to Facebook Places directly from within MotionX-GPS. Full Wikipedia integration means you have your own personal tour guide. Browse full articles and navigate to Wikipedia POIs.